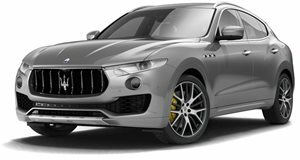 Imagine it with the Levante Trofeo’s 3.8-liter V8. Maserati hasn’t made a true supercar since the revered MC12 back in 2004. Rumors suggested the Italian automaker was working on an , but they turned out to be false. Back in 2012, former Maserati CEO Harald Wester also shared details about a proposed mid-engined sports car based on the Alfa Romeo 4C. It would have been built on a carbon-fiber monocoque and have a curb weight of around 2,645 pounds, while power would be sourced from a 4.7-liter V8 producing 454 hp. Sadly, this project never got the green light. But thanks to artist , we now know what a modern mid-engined Maserati could look like. From the profile, this imaginary Maserati looks a lot like a Lamborghini, sporting a low-ride height, a sloping roofline and sleek design lines adorning the side of the car. At the front, the mid-engine supercar features Maserati’s signature slatted grille and trident emblem, but it doesn’t appear to share any underpinnings with the Alfa Romeo 4C like Wester’s project proposal. The render artist doesn’t mention any potential powertrains but if Maserati ever decided to produce a new halo car, we wouldn’t complain if it was powered by the ’s 3.8-liter twin-turbo V8. The V8 unit produces 590 horsepower and 538 lb-ft of torque, enabling the SUV to hit 62 mph in just 3.9 seconds. Just imagine the performance that could be achieved if this engine was applied to a lightweight mid-engined supercar. Sadly, the possibility of Maserati producing a new halo car is slim right now, particularly as the despite the mass popularity of SUVs. Let’s hope the high-performance changes this, because Maserati needs some profit-making SUVs in its lineup before it can even consider producing a new halo car.